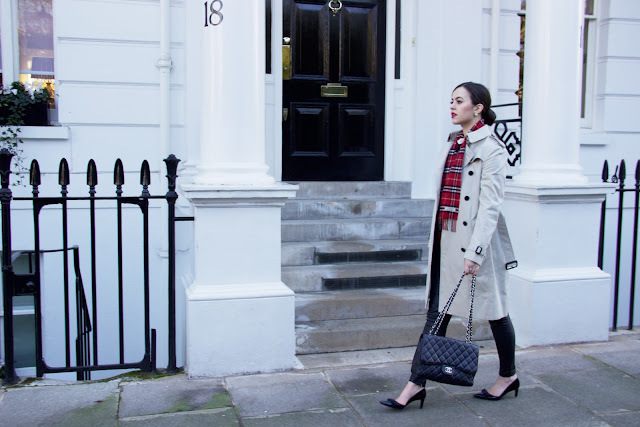 Trench: Burberry; here. | Scarf: Burberry (about 10 years old!) similar here: Burberry - alternative here. Shirt: here. Trousers: here. 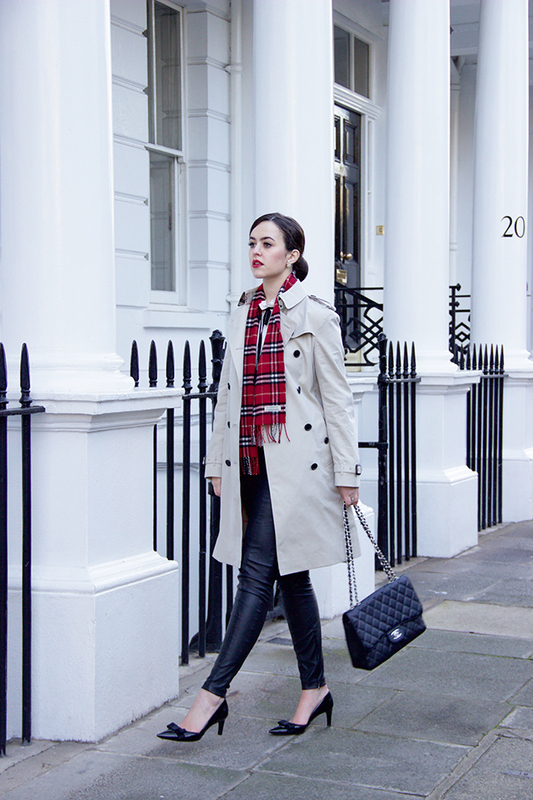 Shoes: Russell & Bromley. Earrings: Dior. Bag: Chanel. 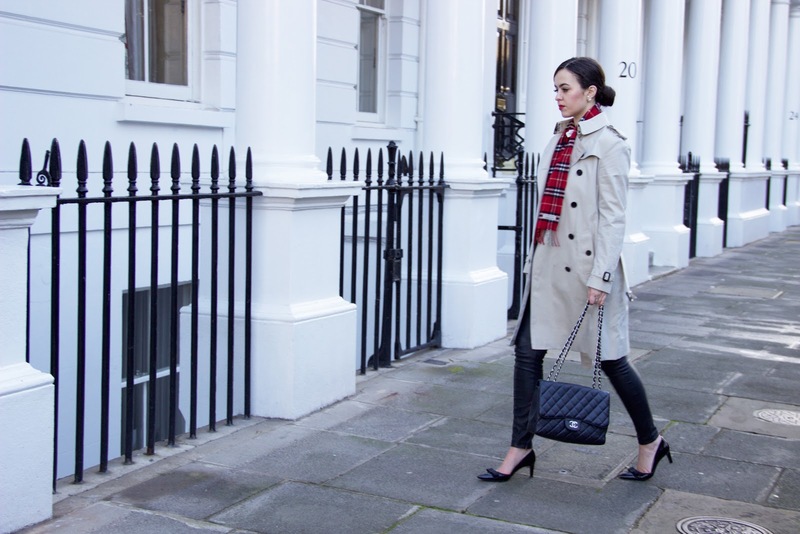 The trench coat; timeless and traditional. Arguably, the ultimate capsule piece. Although it's now heralded as a fashion icon, the trench actually dates back to the 1850s. It was originally a military garment, which was further developed for use in the trenches of the First World War - fascinating, right? It was traditionally khaki coloured, but as the style leaked into the trends worn by the general public, other colours were developed and so arrived the popular honey & stone versions we're so accustomed to seeing today. It seems terribly obvious now that I've done a bit of research, and despite the sizeable hint in the name itself, I'd never realised the trench coat had military origins. 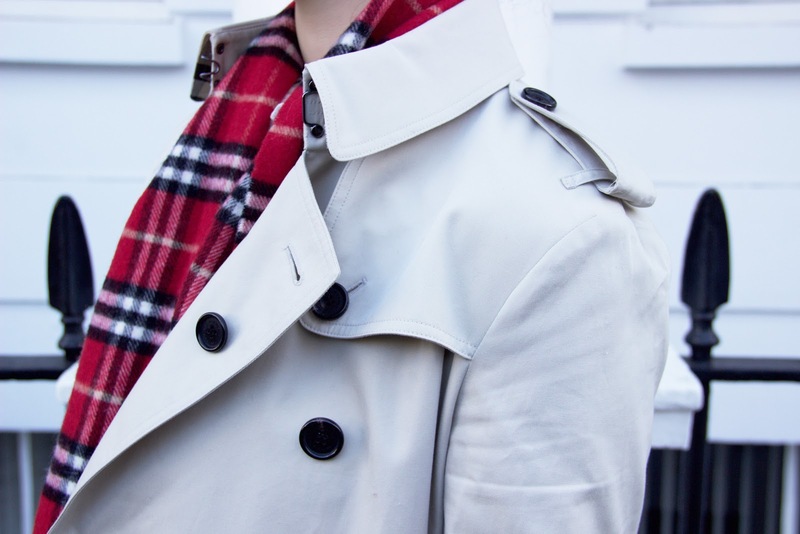 Admittedly, I'd always admired Burberry trenches. 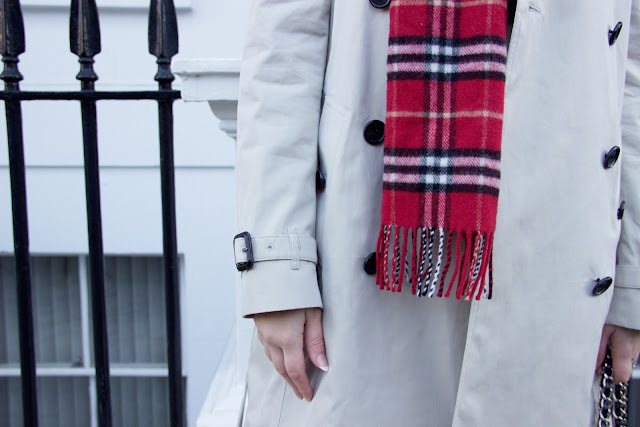 Then one day earlier this year, my mother and I were walking past a Burberry store and she announced 'we should get you a Burberry trench for your birthday - that'll last you forever' and I thought, well, who am I to argue?! After that, I'd decided that I wanted the classic 'Honey' colour in a long length. As you can see, I stuck with the long length part of that decision but the Honey colour went entirely out of the window when I buttoned one up and we all (including the sales assistant who was helping us) went '....errrm... maybe not...' - frankly, the colour was horrendous on me. Although the name sounds pleasant, 'Honey' wasn't doing me any favours. So, the exceptionally helpful shop assistant suggested I tried on the Stone colour, which I'd never really taken a fancy to. 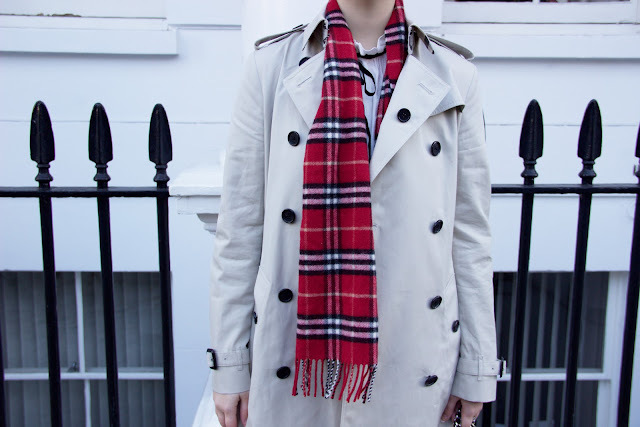 I buttoned up 'The Kensington' in 'Stone' and we were all sold. SOLD. Sold to the girl who looked horrendous in Honey. It really reminded me how important it is to try things on - even things you might not necessarily expect to look good. 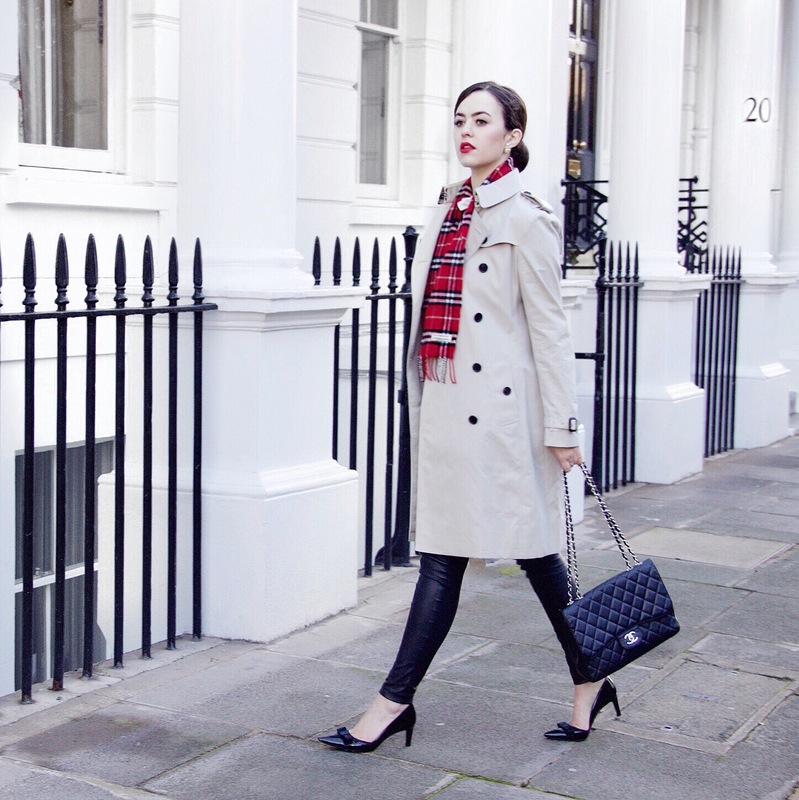 Do you own a trench? Are you a fan of the style? Obsessed with this look. 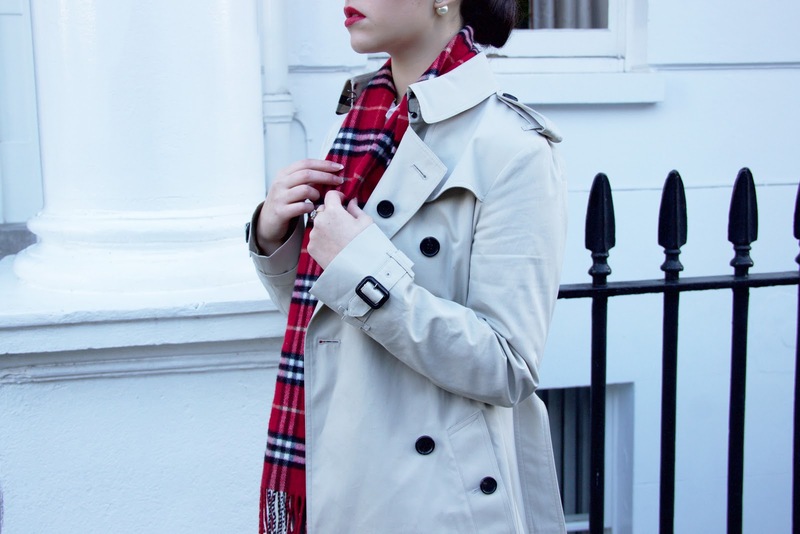 A Burberry trench coat has been on my must-have list, always! Such a classic. Glad you decided to post this look! 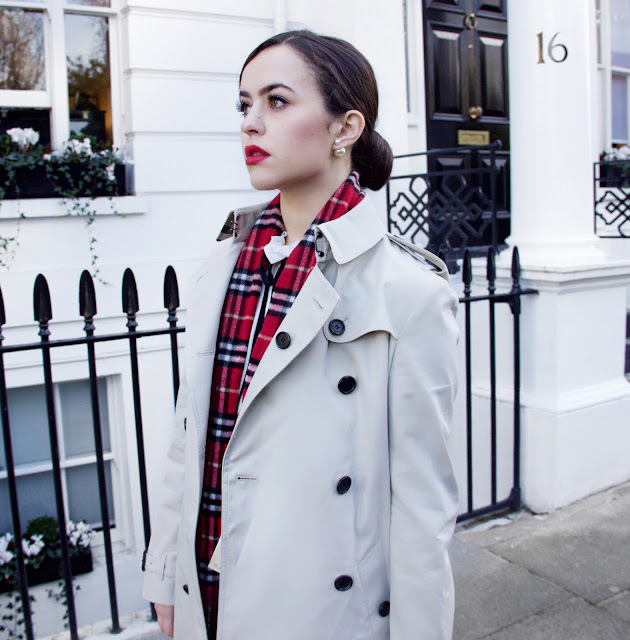 Such a gorgeous trench, I recently sold one of mine and I'm seriously regretting it now! You look absolutely stunning in these photos, loved the post. Gorgeous! I love this color red on you. I love this trench coat! It's gorgeous! 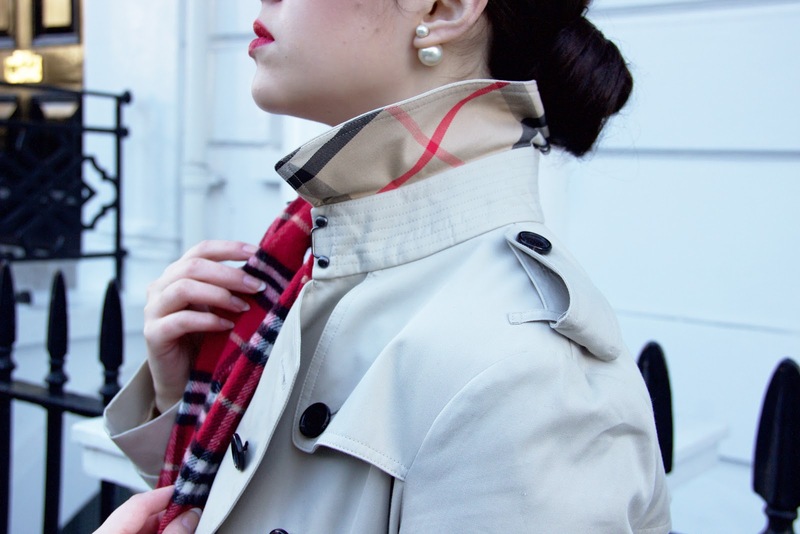 I absolutely love Burberry trenches! I want to get my hands on the sandringham!